Bin Hindi Car Care (a member of A. 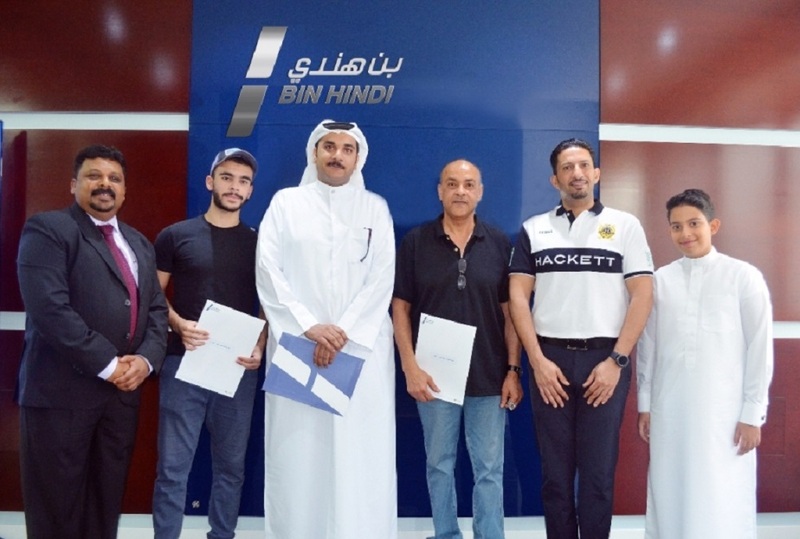 A. Bin Hindi Group of Companies) recently announced the winners of their Fill & Fly following the roaring success of their promotional campaign, “FILL & FLY”, which was run between Feb. 25th and 24th May 2017. The 1st winner is Mr. Ismael Salmen who won the FIRST PRIZE of A TRAVEL VOUCHER worth USD 3,000/- (Three Thousand US Dollars), the 2nd winner is Mr. Fares Mohammed Jassim who won a travel voucher worth USD 2,000/- (Two Thousand US Dollars), and the 3rd winner is Mr. Mirza Nasser, who also won a travel voucher worth USD 1,000/- (One Thousand US Dollars). WHILE, we strive to provide prompt and personalized service-support to all our valued customers, we also aim to raise the bar on the levels of customer-satisfaction with such exciting Consumer-offers’’ said Mr. Thomas John, General Manager for BHCC. Bin Hindi Car Care operates its SIGNATURE Outlets, ENAYA and QUICKFIX, their retail Car Care Service centers in 6 strategic locations and growing too. Enaya is the most exquisite Car Care Centre in Bahrain, situated at Wadi Al Said Petrol Station in Riffa and adjacent to MUHARRAQ CLUB, near Seef Mall Muhrraq. So also, Quickfix is a chain of service-outlets situated in strategic locations at Riffa, Arad, Sehla, Salmabad, Muharraq & Sanad as specialists in Tires, Batteries, Lubricants, state-of-the-art Wheel-Alignment, brake services, A/C services & Car Performance-Restoration services. From the left, Mr. Thomas John, BHCC’s General Manager, winners Mr. Nasser, Mr. Fares & Mr. Ismael along with Mr. Nawaf Bin Hindi, Director & Deputy CEO of A. A. Bin Hindi Group and his son Mr. Faisal.